Huge Savings Item! Free Shipping Included! 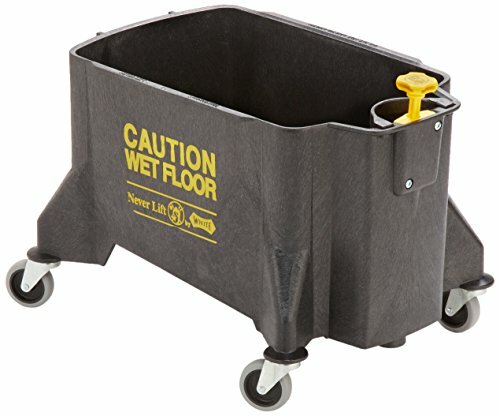 Save 14% on the Impact 460 Neverlift Bucket with 3'' Casters, 46 qt Capacity, Gray by Impact Products at Blog Free Here. MPN: 460. Hurry! Limited time offer. Offer valid only while supplies last. Patented adjustable drain valve allows bucket to adjust to any drain flow. Drain plug can be released to drain bucket - no lever or foot pedal. Patented adjustable drain valve allows bucket to adjust to any drain flow. Drain plug can be released to drain bucket - no lever or foot pedal. Removable strainer to collect large debris. Largest capacity size in the industry. Eliminates back injuries. Reduces Workman's Compensation claims. Self-cleaning design. 3" Casters. 46 qt capacity. Gray color.